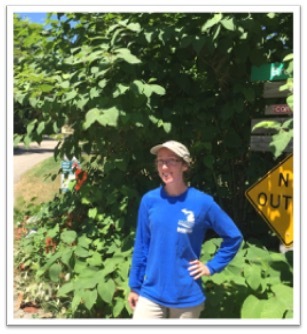 Started in June 2018 as the Conservation Coordinator. Dake has been organizing the daily work of the Invasive Species Strike Team, which surveys, monitors, and treats invasive plant species on private and public land throughout Kent County. Growing up on the lakeshore, she developed a passion for conserving Michigan’s beautiful and abundant natural resources, which lead her to pursue a Bachelors degree in Natural Resources Management from GVSU. She enjoys hiking with her dogs, kayaking, and spending time with family. In her spare time, you can also catch her hunting for native wildflowers, moths, and butterflies! If you have an invasive species that you would like treated, then send her an email at kentstriketeam@gmail.com!